Reprinted with permission from author Christopher D. Caspary, Staff Attorney, Cuyahoga County Court of Common Pleas. The last time the Ohio Assembly modified Ohio Revised Code (“R.C.”) §2735, Dwight D. Eisenhower was President, a gallon of gasoline cost twenty cents, and Mickey Mantle was in his third season as the starting centerfielder of the New York Yankees. Moving beyond mere facilitation of judgment collection, the receivership remedy has evolved into a common, expedient, and generally cost-effective means to effectuate a defunct company’s dissolution or resolve ongoing issues within an insolvent organization. Due to these developments, R.C. §2735, the cornerstone of Ohio receivership law, was in drastic need of revision and expansion. Due to a patch-work of court decisions addressing issues that were not covered by statute or existing precedent, certain crucial aspects of receivership law were subject to conflicting interpretations. A statutory framework was needed to help standardize results in receivership actions. The current amendment to R.C. §2735 in House Bill 9 (“H.B. 9”) codifies certain best practices that are familiar in Cuyahoga County without restraining the court’s ability to appropriately tailor relief and receivership orders. H.B. 9 was enacted December 19, 2014 and has an effective date of March 23, 2015. Though the changes present in H.B. 9 are extensive, the legislature did not modify R.C. §2735.03 (Oath and Bond), R.C. §2735.05 (Examination), or R.C. §2735.06 (Investment of Funds by Receiver). · R.C. §2735.01(C) expounds upon §2735.01(A)(6), which combine to specify that receivers “may be appointed to manage all the affairs” of the applicable business entity. · R.C. §2735.04(B) codifies substantive powers of the receiver such as entering into lease or sale contracts that do not impact lien priority, executing construction contracts, and conveying real or personal property. The subsection also authorizes the commonplace practice of opening a deposit account. · R.C. §2735.04(C) codifies and potentially expands upon existing case law on lien priority for receiver fees and expenses. See, e.g., Dir. of Trans. of Ohio v. Eastlake Land Dev. Co., 177 Ohio App. 3d 379, 388-389, 2008-Ohio-3013, 894 N.E.2d 1255 (8th Dist.) (allowing expenses from a mortgage sale to extinguish receivership fees with mortgagee acquiescence and full participation in the matter); see also, Ohio v. Tokmenko, 112 Ohio App. 42, 43, 165 N.E2d 804 (8th Dist. 1960) (noting that receivership expenses are generally payable out of the “corpus of the property”); but see, Wilkens v. Boken, Inc., 8th Dist. Cuyahoga No. 64230, 1993 Ohio App. LEXIS 6202, ¶ 16-19 (Dec. 23, 1993) (requiring that “unusual or substantial” expenditures provide notice, an opportunity to be head, and receive eventual court approval). · R.C. §2735.04(D) definitively establishes a comprehensive procedure allowing a receiver to dispose of real property. · R.C. §2735.04(D)(1)(a) and §2735.04(D)(3) codify existing case law on a receiver’s ability to sell property “free and clear of liens” (with limited exceptions). See Huntington Nat’l Bank v. Motel 4 BAPS, Inc., 191 Ohio App. 3d 90, 94-95, 2010-Ohio-5792, 944 N.E.2d 1210 (8th Dist.). · R.C. §2735.04(D)(1)(b)-(c) allows the court to order the receiver to provide evidence of the value of the property or solicit and consider additional offers prior to executing a conveyance. · R.C. §2735.04(D)(2) sets forth specific procedures that must occur before a receiver can dispose of real property. This subsection specifically requires that the receiver file a motion with the court regardless of whether a specific offer to purchase has been received and provide at least ten-day written notice to all interested parties (defined in the Statute). If an objection is filed, a hearing must take place that allows all parties to be heard. Finally, an order of sale must be issued by the court. · R.C. §2735.04(D)(7) requires that the court create a redemption deadline allowing a party to act and void the sale. This period cannot be shorter than three days. · R.C. §2735.04(D)(10) requires that the receiver file and serve a certificate of sale and report that outlines important transactional details for property conveyance conducted under the auspices of R.C. §2735.04(D)(2)(a)(ii), which governs sales with a specific offer to purchase the real property in question. This allows a receiver to avoid having to obtain court approval for a contract sale twice. 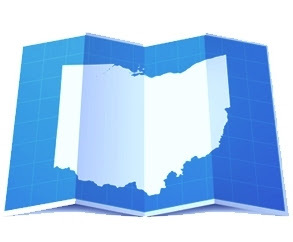 · Receivership case law in Ohio remains dynamic and growing, yet at times, incomplete. · The most substantial amendment found in H.B. 9 addresses the disposition of real property by a receiver and the ability to do so “free and clear of liens.” Property rights can be difficult to protect in the current bad asset environment, where title reports are complicated, lengthy, and at times inaccurate. · R.C. §2735.04(D)(2)(b) sets forth notice requirements that must be met before a receiver can dispose of real property. The statute notes that either a preliminary judicial report or a title commitment is acceptable for determining the parties that must be noticed. · Case law interpreting the changes present in H.B. 9 will take time to fully develop. Although the amendment codifies important receivership precedent, certain gap-filling decisions were not specifically addressed by the General Assembly, and their continued applicability may be in question. For example, though R.C. §2735.04(C) empowers the court to “require an additional deposit” (to be deposited by the requesting or consenting parties) “to cover funds” that will be expensed pursuant to a R.C. §2735.04(B)(4) contract, the Statute does not specifically address whether a court can require the original movant (or acquiescing and full participating party) to cover all receivership costs not extinguished by the receivership estate. · R.C. §2735.02 adds language that a court should afford “priority consideration…to any of the qualified persons nominated by the party seeking the receivership,” but cautions that “[n]o nomination of qualified persons for the receivership is binding upon the court.” Though the Statute is clear that the court retains ultimate discretion in deciding who to appoint, the law now views receiver nominations by the movant favorably. · Whether courts, in interpreting R.C. §2735.04(C), will maintain the aforementioned “unusual or substantial” standard for expense authorization and priority despite such a distinction not being present in the Statute. The amendment of R.C. §2735.01 et seq. provides needed statutory guidance and predictability to the receivership environment and is a net positive for receivership practitioners as the lack of predictability in receivership orders was one of the largest disadvantages when utilizing state court remedies. The amendment specifically codifies certain receivership powers that have become commonplace in many jurisdictions, such as disposing of real property “free and clear of liens,” scheduling hearings and allowing an opportunity to be heard before entering certain receivership orders, and creating a blanket rule of receivership fee and administrative expense priority. H.B. 9 does not inhibit the ability of the court to tailor the order appointing a receiver to the specific facts of the matter at hand and allows the receivership remedy to continue to be an important, powerful, and flexible resource available for attorneys in bad asset liquidation or business salvage environments. Mickey Mantle would be proud; the General Assembly has just hit a homerun. Disclaimer: The contents of this article are not intended to serve as legal advice. Appropriate legal counseling or other professional consultation should be obtained prior to undertaking any course of action related to the topics explored by this article. Christopher D. Caspary serves as the Staff Attorney to Judge Nancy A. Fuerst in the Cuyahoga County Court of Common Pleas. Mr. Caspary completed his undergraduate studies at The Ohio State University and received his JD/MBA from Cleveland State University. Mr. Caspary has an interest in the diverse area of business law.